Bosch is a leading name for household appliances. It is known for producing high-quality, technologically advanced products. 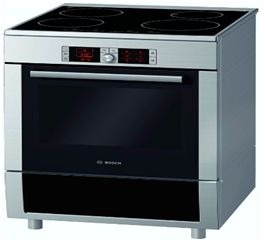 The home appliances offered by Bosch include washing machines, ovens, dishwashers, dryer, cooktops, and many more. The most important thing that separates Bosch from other brands is its premium quality of domestic appliances. Their customer credibility stems from their advanced technology and outstanding longevity. These attributes enable them to meet the highest performance expectations and offer precision engineering. The brand’s core philosophy is to harness useful progress to create a better quality of life. In case of a dishwasher, there may be several problems that you may experience. But the most common complaints are: Not draining or not cleaning dishes. This problem may be due to reasons such as a Blocked Drain pump, blocked filters and Spray arms. Hence, it becomes essential to troubleshoot this problem ASAP. If you have checked these basic issues and the problem still persists, hiring an appliance repair professional is the best option. You should not take any risks with such domestic household appliances. 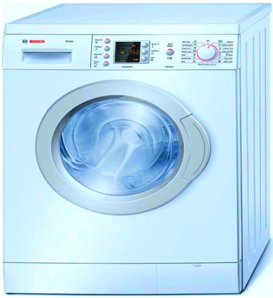 Bosch is a big brand name in the domestic household industry and has many buyers owing to its quality products. From washing machines, to dishwashers and ovens, Bosch caters to every appliance as per the need of people. When your Bosch appliance becomes faulty, you may want it to get repaired from a company that offers Simple Old Style good service. We at Local Appliance Repairs try to achieve exactly what you want. Arranging a visit from one of our capable service technicians will allow you to get your technical issues fixed rightly. 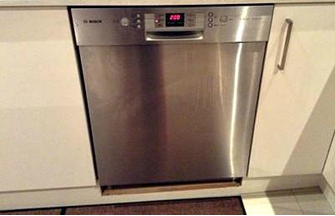 Please contact us if you need your Bosch oven, washing machine and dishwasher fixed in Sydney. Our primary goal is to make sure that the job is cost effective. After inspections we can advise you if it can be fixed in a cost effective manner or replacing the appliance is a better option.